Home › 4 (2016) 11 › On the Grammars of School History: Who Whom? Consider ‘agency’, or, in grammatical terms, the question ‘Who does what to whom?’ Grammatical analysis can reveal a great deal about our relationships with the past. ‘Critical historical consciousness’, for example – the historical equivalent of Nietzsche’s ‘philosophy with a hammer’ – subjects the past to the stringent scrutiny of the present, judging it iconoclastically (as with #RhodesMustFall). For ‘traditional historical consciousness’, by contrast, the past leads and ‘we’ must follow, since to live well is to reiterate ‘the best’, which exists already in the practices of ‘our’ ancestors. What is true of historical culture more generally is also true of history education: the question ‘Who whom?’ can reveal features of our learning aims for history and aspects of our students’ historical thinking that might otherwise pass unnoticed. Consider these approximately parallel passages from two iterations of the English National Curriculum for History. We need to read both documents in full, of course, to understand them but comparing these two paragraphs alone can illustrate the power of grammatical analysis. In one sense these texts are structurally identical – in both ‘history’ does things to pupils. Despite this, the contrasts are striking. In the second, history is more clearly cognitive than in the first. Pupils ‘question’, ‘think’, ‘develop… judgment’ and, in total, they control six verbs related to intellectual processes in one sentence of this passage, whereas in the first paragraph they simply ‘ask and answer questions’. In the first passage, history is presented in a more affective manner than in the second – whereas the second mentions ‘curiosity to know’, the first links curiosity to being ‘moved’ and ‘inspired’ and the agency attributed to people in the past is identified as the source of these responses. In the first text, past people made ‘choices’, faced ‘dilemmas’ and had ‘beliefs’ but in the second the ‘lives’ of past people simply have ‘complexity’. Pupils’ identities shift in ways that may, perhaps, be pedagogically consequential between the two paragraphs. In the first, pupils actively ‘develop their own identities’ through historical study but in the second ‘their own identity’ is something that they come to ‘understand’: what was plural and pupil-generated becomes singular and, perhaps, a given. Grammar can also reveal a lot about students’ thinking. Consider, for example, the contrasts between these two responses by the same student to questions about historical interpretation. In this text, written at start of an intervention designed to develop understandings of what historians do, the student does grant historians agency – they use sources and have conclusions; however, historians’ claims are ‘affected’ by their backgrounds or political beliefs – on this account, historians do not so much write their own texts as ventriloquize the claims of factors acting on them. The grammar of agency is very different in this later response by the same student. Here the historians are in charge of the verbs. They are agents of their own arguments, they make choices and it is this interpretive decision-making that ‘determines the conclusions that are to be drawn’. Agency is only one part of the story. Grammar structures and enables historical thinking in a wide range of ways, the most obvious being time. What history could there be, after all, without the past tenses? Another example is historical explanation. Here grammar can index barriers to progression and increasing sophistication in historical thinking. Sophisticated historical explanation necessarily involves counter-factual reasoning, as Megill (2007) has argued. Counter-factualism requires mastery of the conditional ( ‘if… then’ and ‘if not…. then not’) and ‘possibility thinking’, enabled by the conditional, is key to progression in historical explanation. We still believe in God because we still believe in grammar, Nietzsche once quipped. Whatever its negative value to the iconoclast, grammar is of positive heuristic value in history didactics. Improving historical thinking and parsing the texts that embody and express it are likely to go hand in hand. ‘Who whom?’ we might ask, when tasked with implementing or writing a curriculum proposal. ‘Who whom?’ we might ask also when thinking about what our students write and say and about how we might help them to develop more powerful historical thinking. Coffin, Caroline: Historical Discourse. The language of time, cause and evaluation, London and New York 2006. Coffin, Caroline: Learning the language of school history: the role of linguistics in mapping the writing demands of the secondary school curriculum. In: Journal of Curriculum Studies, 38 (2006) 4, pp. 413–429, http://oro.open.ac.uk/5529/ (last accessed 23.3.16). Harris, Roy: The Linguistics of History, Edinburgh 2004. Butterfield, J. (2016). ‘Think you’s good at grammar? Try my seven golden rules’. The Guardian, 4th March, http://www.theguardian.com/commentisfree/2016/mar/04/national-grammar-day-rules (last accessed 23.3.16). I intend ‘agency’ in both a sociological sense (denoting the power to act and make effective decisions) and a grammatical sense (where to be an agent is to be the ‘subject’ of verbs). The former is explored in Giddens, A. (1984) The Constitution of Society, Cambridge: Polity Press and the latter in Halliday, M.A.K. and Matthiessen, C.M.I.M (2014) Halliday’s Introduction to Functional Grammar, Abingdon and New York: Routledge. Rüsen, J. (2005). History: Narration, Interpretation, Orientation. New York and Oxford: Berghahn Books. Qualifications and Curriculum Authority (2007) History: Programme of study for key stage 3 and attainment target, London: QCA, http://webarchive.nationalarchives.gov.uk/20100202100434/http://curriculum.qcda.gov.uk/key-stages-3-and-4/subjects/key-stage-3/history/programme-of-study/index.aspx?tab=1 (last accessed 23.3.16). Department for Education (2013). History programmes of study: key stage 3 National curriculum in England, London: The Stationary Office, p. 1, https://www.gov.uk/government/publications/national-curriculum-in-england-history-programmes-of-study (last accessed 23.3.16). The full text of this passage is at Chapman, A. (2012). Developing an Understanding of Historical Thinking Through Online Interaction with Academic Historians: three case studies. 2012 Yearbook of the International Society for History Didactics, 33, pp. 35-36 (last accessed 23.3.16). The full text of this passage is at ibid, p.36. Megill, A. (2007). Historical Knowledge / Historical Error: A contemporary guide to practice, Chicago: University of Chicago Press, p.7. Lee, P. J., & Shemilt, D. (2009). Is any explanation better than none? Over-determined narratives, senseless agencies and one-way streets in students’ learning about cause and consequence in history. Teaching History, 137, pp. 42-49. Nietzsche, F. (1889) Twilight of the Idols or How to Philosophize with a Hammer, translated by Daniel Fidel Ferrer (2013), , https://archive.org/details/TwilightOfTheIdolsOrHowToPhilosophizeWithAHammer (last accessed 23.3.16). “Goodbye Yesterday, Hello Tomorrow” — You’d think Singapore could afford proper punctuation. © 2012 by Gwydion M. Williams @ Flickr, CC-BY-2.0. Chapman, Arthur: On the Grammars of School History: Who Whom? In: Public History Weekly 4 (2016) 11, DOI: dx.doi.org/10.1515/phw-2016-5759. Grammatik hat, vielleicht zu Recht, den Ruf des Langweiligen angesichts der Art, mit der sie gelehrt wurde, und der Leichtigkeit, mit der die Beschäftigung mit ihr in Pedanterie umschlägt. Jedoch kann Grammatik ein wertvolles Werkzeug werden, um historisches Denken zu beurteilen und um darüber nachzudenken, wie Geschichte in der Schule gemacht und verstanden wird. Betrachten wir Agency oder in Bezug auf Grammatik die Frage “Wer tut wem was?”. Eine grammatische Analyse kann sehr viel über unsere Beziehungen zur Vergangenheit aufdecken. “Kritisches Geschichtsbewusstsein” zum Beispiel – das historische Äquivalent von Nietzsches “Philosophie mit einem Hammer” – unterwirft die Vergangenheit der strengen Prüfung durch die Gegenwart und beurteilt sie ikonoklastisch (wie mit #RhodesMustFall). Für “traditionelles Geschichtsbewusstsein” dagegen führt die Vergangenheit und “wir” müssen folgen, weil, um gut zu leben bedeutet: “das Beste” zu wiederholen, was bereits in den Praktiken “unserer” Vorfahren existiert. Das, was für die Geschichtskultur gilt, ist auch für geschichtliche Bildung gültig: “Wer tut wem was?” kann Merkmale unserer Lernziele für Geschichte aufdecken wie auch Aspekte des historischen Denkens unserer Lernenden, die sonst unbemerkt bleiben könnten. Betrachten wir die folgenden annähernd parallelen Passagen aus zwei Ausgaben des englischen National Curriculum for History. Natürlich müssten wir beide Dokumente in voller Länge lesen, um sie zu verstehen, aber ein Vergleich von nur diesen beiden Paragraphen zeigt die Kraft einer grammatischen Analyse auf. In einer Hinsicht sind diese Texte strukturell identisch – in beiden macht “Geschichte” etwas mit den SchülerInnen. Aber trotzdem sind die Kontraste sehr bemerkenswert. Im zweiten Text ist Geschichte eindeutig mehr kognitiv als im ersten. Die SchülerInnen “fragen”, “denken”, “entwickeln … Urteilskraft”. Insgesamt beherrschen sie sechs Verben in einem Satz dieser Passage, die in Zusammenhang mit intellektuellen Vorgängen stehen, wohingegen sie im ersten Zitat lediglich “Fragen stellen und Fragen beantworten”. Im ersten Zitat wird Geschichte gefühlsbetonter dargestellt als im zweiten: Obwohl das zweite “Neugier auf Wissen” erwähnt, verbindet das erste Neugier mit Berührt- und Inspiriert-Sein und die den Menschen der Vergangenheit zugeschriebene Agency wird als die Quelle dieser Reaktionen identifiziert. Im ersten Text trafen Menschen in der Vergangenheit “Entscheidungen”, sie wurden mit “Zwangslagen” konfrontiert und hatten Überzeugungen. Im zweiten Text hingegen hatte das Leben vergangener Generationen nur “Komplexität”. Die Identitäten der SchülerInnen verlagern sich zwischen den beiden Paragraphen auf eine Weise, die vielleicht pädagogisch folgerichtig ist. Im ersten Zitat (2007) “entwickeln” SchülerInnen aktiv ihre “eigenen Identitäten” durch historische Studien; aber im zweiten (2013) ist “ihre eigene Identität” etwas, das sie “zu verstehen” lernen: Was im Plural stand und von den SchülerInnen erst zu leisten war, das steht nun im Singular und ist, vielleicht, gewiss. Grammatik kann auch viel darüber zu Tage bringen, wie StudentInnen denken. Als Beispiel können wir die Kontraste zwischen zwei Antworten desselben Studenten auf Fragen zur historischen Interpretation betrachten. In diesem Text, der am Anfang eines didaktischen Arrangements geschrieben wurde, die auf die Entwicklung eines Verständnisses von HistorikerInnen-Handeln zielte, gesteht der Student HistorikerInnen Agency zu: Sie verwenden Quellen und ziehen Schlussfolgerungen. Allerdings werden ihre Behauptungen durch ihre Herkunft oder politische Überzeugungen “beeinflusst”, deswegen schreiben HistorikerInnen eigentlich nicht ihre eigenen Texte, sondern agieren als Bauchredner, die Aussagen wiedergeben, die nicht von ihnen stammen. Die Grammatik der Agency ist in der folgenden Antwort desselben Studenten ganz anders. Hier haben die HistorikerInnen die Macht über die Verben. Sie sind die Akteure ihrer eigenen Argumente, sie wählen aus; und es ist dieser interpretative Entscheidungsprozess, der “die Schlussfolgerungen, die gezogen werden” bestimmt. Agency ist nur die eine Seite. Grammatik strukturiert und ermöglicht historisches Denken auf vielfältige Weise, wobei Zeit die offensichtlichste ist. Welche Geschichte hätten wir schließlich ohne die Vergangenheitsformen? Ein weiteres Beispiel stellt die historische Erklärung dar. Grammatik kann hier Hindernisse für die Weiterentwicklung und zunehmende Verfeinerung von historischem Denken nachweisen. Wie Megill (2007) argumentiert hat, verlangt hochentwickelte geschichtliche Erklärung notwendigerweise kontrafaktische Argumentation. Kontrafaktizität erfordert eine Meisterschaft über den Konditional (“wenn … dann”, “wenn nicht … dann nicht”) und Denken in Möglichkeiten, aktiviert durch den Konditional, ist der Schlüssel zum Fortschritt in der historischen Erklärung. Wie Nietzsche einmal scherzte, glauben wir immer noch an Gott, weil wir immer noch an die Grammatik glauben. Was auch immer ihr negativer Wert für die Negation des Vergangenen sein mag – Grammatik hat einen positiven heuristischen Wert für die Didaktik der Geschichte. Eine Verbesserung des historischen Denkens und die syntaktische Analyse der Texte, die es verkörpern und ausdrücken, gehen wahrscheinlich Hand in Hand. Wir könnten “Wer wen?” fragen, wenn unsere Aufgabe die Implementierung oder Formulierung eines Vorschlags zur Unterrichtsplanung ist. Wir könnten auch “Wer wen?’ fragen, wenn wir darüber nachdenken, was unsere Lernenden sagen und schreiben, und wie wir ihnen helfen könnten, leistungsstärkeres historisches Denken zu entwickeln. Coffin, Caroline: Learning the language of school history: the role of linguistics in mapping the writing demands of the secondary school curriculum. In: Journal of Curriculum Studies, 38 (2006) 4, pp. 413–429, http://oro.open.ac.uk/5529/ (zuletzt aufgerufen am 23.3.16). Butterfield, Jeremy: ‘Think you’s good at grammar? Try my seven golden rules’. The Guardian, 4. März 2016, http://www.theguardian.com/commentisfree/2016/mar/04/national-grammar-day-rules (zuletzt aufgerufen am 23.3.16). Ich verstehe “Agency” sowohl in einem soziologischen Sinn (womit das Vermögen zu Handeln und wirksame Entscheidungen zu treffen bezeichnet wird) als auch in einem grammatischen (wo ein Akteur zu sein bedeutet: Subjekt eines Verbes zu sein). Das erstere wird erklärt von Anthony Giddens: The Constitution of Society, Cambridge 1984, und das letztere von M.A.K. Halliday / C.M.I.M. Matthiessen: Halliday’s Introduction to Functional Grammar, Abingdon / New York 2014. Rüsen, Jörn: History: Narration, Interpretation, Orientation. New York / Oxford 2005. Qualifications and Curriculum Authority (2007) History: Programme of study for key stage 3 and attainment target, London: QCA, p.111, http://webarchive.nationalarchives.gov.uk/20100202100434/http://curriculum.qcda.gov.uk/key-stages-3-and-4/subjects/key-stage-3/history/programme-of-study/index.aspx?tab=1 (zuletzt aufgerufen am 23.3.16). Department for Education (2013). History programmes of study: key stage 3 National curriculum in England, London: The Stationary Office, p. 1, https://www.gov.uk/government/publications/national-curriculum-in-england-history-programmes-of-study (zuletzt aufgerufen am 23.3.16). 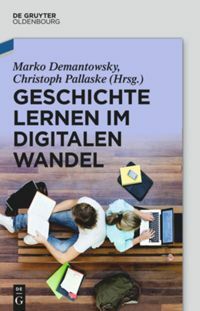 Der komplette Text zu dieser Passage ist zu finden bei Chapman, Arthur: Developing an Understanding of Historical Thinking Through Online Interaction with Academic Historians: three case studies. 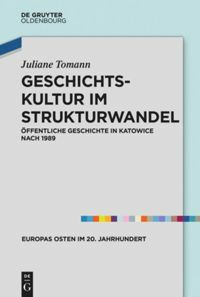 In: Jahrbuch der Internationalen Gesellschaft für Geschichtsdidaktik 33 (2012), S. 35f. Megill, Allan: Historical Knowledge / Historical Error: A contemporary guide to practice, Chicago 2007, S. 7. Lee, Peter J. / Shemilt, Denis: Is any explanation better than none? Over-determined narratives, senseless agencies and one-way streets in students’ learning about cause and consequence in history. In: Teaching History (2009) 137, S. 42-49. Nietzsche, Friedrich: Twilight of the Idols or How to Philosophize with a Hammer (1889), translated by Daniel Fidel Ferrer (2013), S. 17, https://archive.org/details/TwilightOfTheIdolsOrHowToPhilosophizeWithAHammer (zuletzt aufgerufen am 23.3.16). “Goodbye Yesterday, Hello Tomorrow” — Man würde denken, Singapur könnte sich eine korrekte Interpunktion leisten. © 2012 by Gwydion M. Williams @ Flickr, CC-BY-2.0. Chapman, Arthur: Über die Grammatiken schulischer Geschichte: Wer wen?. In: Public History Weekly 4 (2016) 11, DOI: dx.doi.org/10.1515/phw-2016-5759. Arthur Chapman’s intervention in Public History reminded me of Koselleck’s reference to Epictetus. According to Koselleck Epictetus once said: It is not what has been done that disturbs people, but what is said about it (Koselleck, 1989, p. 666). I think that the maxim is a good synopsis of what historiographical debates are about: interpretation of evidence using language, the challenge being translating the language of the past in a form to be understood by people in the present. A notion that explains best this process is “double constructivism”, a notion that Lee et al use to describe what is actually taking place when the researcher attempts to map students’ understandings in relation to the past (Lee, Ashby and Dickinson, 1993: 5). 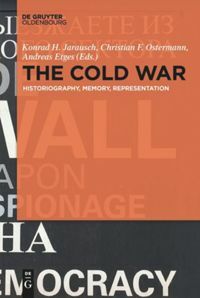 Historians need to reconstruct the ‘categories’, concepts, schemas by which the people of the past used to experience their condition, and as Liakos put it, trying not to “betray” them. During this ‘translation’ process part of the past experience is never reconstructed since historians are trapped in Nietzsche’s “language prison house”, in other words, the language they themselves and their contemporaries use, that of the present. In Chapman’s text, language is connected to “agency” in two levels. On a first level, it operates in relation to historian’s agency as an author who reconstructs or constructs meanings and his dependence on language to do this; that would be the second case that Chapman uses. On a second level, it operates in relation to the agency of the students themselves as interpreters or prospective historians, the latter be Chapman’s first case. The relationship between “agency” and “language” or “grammar” that Chapman communicates in this issue, reminded me of an old study by Penuel and Wertsch referring to the “agency” of the people of the past. In the study mentioned above students referred more frequently to European Americans and in a “superordinate” position, than to African Americans, the latter in a subordinate position (Penuel & Wertsch,1998, p. 35). The researchers used linguistic indicators: the frequency of appearance of names or collectives marking the protagonists, second the structure of students’ texts, in other words, their syntax. I think that language and its grammar plays an ambivalent role in the construction of meanings as realized both in historical arguments and everyday speech: it deprives people from “agency” and functions as a “prison” in the sense that provides them with meanings or schemas to which they accommodate whatever they perceive. On the other hand, apart from “langue”, the system of language one receives from the past and the community, there is also “parole” (speech), which according to Saussure is “many – sided”, “heterogenous” and “belongs both to the individual and the society” (De Saussure, 1966, p. 9). It is by “parole” that individuals construct their agency, both as historians or ‘consumers’ of a specific language system in their everyday life. This is also Bartlett’s view: people simultaneously remember and engage in an endless “effort after meaning”, imposing on facts narratives they have chosen themselves. Kellner reminds us White’s assertion that “the greater course of history itself (as lived and as written) is based upon human choice” (Kellner, 1980, p. 4). I especially like and agree to Chapman’s last paragraph where he connects language and grammar with students’ historical thinking; if understanding the people in the past depends on an adequate use of language, past and present, language seems to be central in teaching history. I think this has consequences in relation to the ‘structure’, the syntax of texts. For example Chapman speaks about counter-factual reasoning and the use of the conditional. In relation to syntax, one ought to refer to the work of Councell that combines the development of writing and historical thinking skills (Counsel, 1997, p. 16). The mastery of language by students has also consequences in relation to the historical ‘vocabulary’. In relation to the latter, which could be the ‘content’ of the historical language, a problem that Koselleck emphasizes is the historicity of political and social concepts and brings as an example the German word “bürger” (citizen) and the different meanings it acquired throughout different periods of time (Koselleck, 2006, p. 79, a Gr. edition). Husbands, also stresses the difficulty that changing meanings of words present to students (Husbands, 2001, p. 31. The language of historical description presents additional difficulties because students ought to understand that language and naming in history requires interpretation and options are controversial. In Greece for example people generally understand that the choice between naming the events in the years 1945-1949 as the “Bandids’ War” or the “Civil War” indicates ideology and political stance. I think the latter example about the Greek Civil War supports the perception of language as giving options to individuals rather than constraining them. I also think that emphasizing “agency” in connection with “language” Chapman’s article is crucial for history teachers and I am grateful for the opportunity he gave us to think that history has always been emancipating. We therefore have to help students, locate different “agencies” in texts, while at the same time build their own agency, and language seems to have a role to play in this process. – Counsell, C. (1997): Analytical and Discursive Writing, The Historical Association. – De Saussure, F. (1966): Course in General Linguistics. New-York, Toronto, London: McGraw-Hill Book Company. – Husbands, C. (2001): What is History Teaching, Buckingham-Philadelphia: Open University Press. – Koselleck, R. (1989): Linguistic Change and the History of Events, The Journal of Modern History, 61 (4), pp 649-666. – Penuel, W. & Wertsch, J. (1998): Historical Representation as mediated Action: Official History as a Tool, International Review of History Education, 2, pp 23-38. Portland, OR: Woburn Press.